New Hogan Lake contains many campsites, 50 miles of shoreline, and lots of activities to do. It’s only 30 miles east of Stockton so it’s only about 2 hours from the Bay Area and about an hour and a half from the Sierra Nevada Foothills including Twain Harte. Those who fish will see New Hogan Lake as heaven. Catfishing is very popular year round. 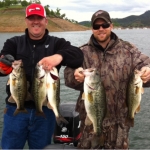 People have known to catch crappie, bass, catfish, striped bass, and trout. The address for New Hogan Lake is 2713 Hogan Dam Rd. Valley Springs, Ca. 95252. To make reservation during summer months call 1-877-444-6777. There are a few different places at New Hogan Lake. 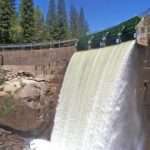 First is Acorn West which is located on north side of the lake between Hogan Dam Road and S.Petersburg Road, Valley Springs CA 9525. This site includes tens and RVs, restroom, showers, fishing access, and a trailer dump station. The second site is Acorn East which is on the North side of the lake between Hogan Dam Road and S.Petersburg Road, Valley Springs CA 95252. 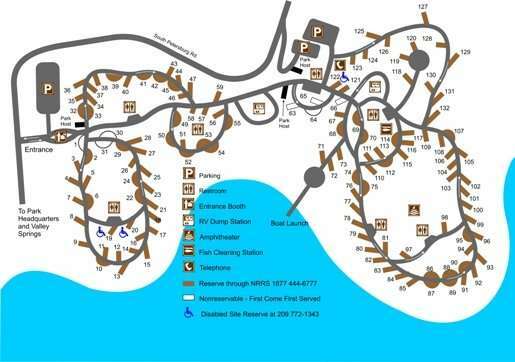 This site includes tents & RVs, restrooms, showers, fishing access, campfire center, telephone, fish cleaning station, and launch ramp. The third is Oak Knoll which is on the North side of lake on S. Petersburg Road, Valley Springs CA 95252. 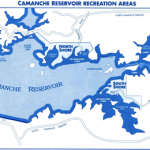 This site includes camping, fishing access, restroom, and trailer dump station. The fourth site is Coyote Point which is on the North side of lake near Oak Knoll campgrounds. This includes camping, fishing access, and restrooms available for groups by reservation. The last site is Deer Flat which is on the northeast side of the New Hogan Lake. This includes a boat-in campground, open during summer months. You may register for these sites at Acorn West Campground at New Hogan Lake. The camping fees for New Hogan Lake are as follows: For camping for Acorn on weekends, it is $18.00 during summer; for camping Acorn all winter, it is $14.00, an RV Dump is $ 6.00, Oak Knoll is $14.00, and day use at Fiddleneck Boat Launch is $4.00.